Studies have shown that celiac disease/gluten intolerant patients do better, and stay healthier, when they are involved with a gluten free community. 1. Money – You will save money by learning about gluten free product specials from your fellow GF community members. 2. Products – Not only will you learn about coupons, and specials, you will also learn about new products, and products that taste bad or that made someone sick. 3. Emergencies – During an emergency it will be hard for people with food intolerances, and allergies to find food that is safe for them to eat. With a community of people who need safe food it will be easier to find food that is safe to consume. 4. Support – When first diagnosed, many people have a hard time coping with their diagnosis. Joining a gluten free community can help you learn how to cope with your new lifestyle, and you will find the support you need to continue. While on the gluten free path it is also not uncommon for people to change their diet, learn of new diseases, and stumble upon other challenges. Having someone in your life that understands those challenges will help you succeed. 5. Myths – There are many myths associated with celiac disease, gluten intolerance, and living gluten free. There is no better way to debunk those myths than with information from an entire community. 6. Recipes – Many gluten free recipes take trial and error to help perfect. Friends and GF community members can share recipes, and stories of trial and error. 7. Restaurant reviews – With the gluten free trend on the rise more and more restaurants are claiming to have a gluten free menu. Unfortunately, not all these claims hold true. The more gluten free people you know, the more you will find out about which restaurants hold true to their gluten free claims. 8. Research – Every day there is more research and information coming out about celiac disease, and gluten intolerance. With a GF community it will be easier to learn about all different types of information and research. 9. Motivation – Some days are easier than others, however, it is not always easy to be gluten free. Having a friend can help motivate you to stay gluten free. 10. Social – One of the biggest challenges of Celiac Disease are the social aspects of eating gluten free. Nothing is better than a friend who understands. If you live in the Corvallis area there are two easy ways to get involved with the gluten free community. The first is to attend the Corvallis support groups. These support groups take place every third Saturday of the month, and are located at the First Congregational United Church in Corvallis, OR. See this page for more information. The second is to come into the Gluten Free RN office (215 SW 4th St). We are open Monday – Friday 9-5. In the office we have articles, books, recipes, resources, and much more. Our office is extremely unique, and there are very few, if any, similar to it in the country. 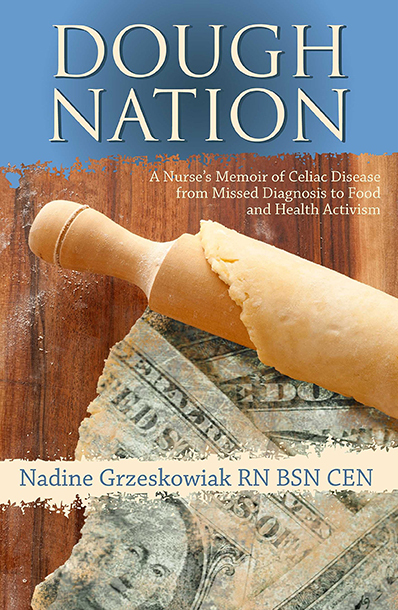 We are here to help anyone learn more about celiac disease, and gluten intolerance. Come visit us soon!